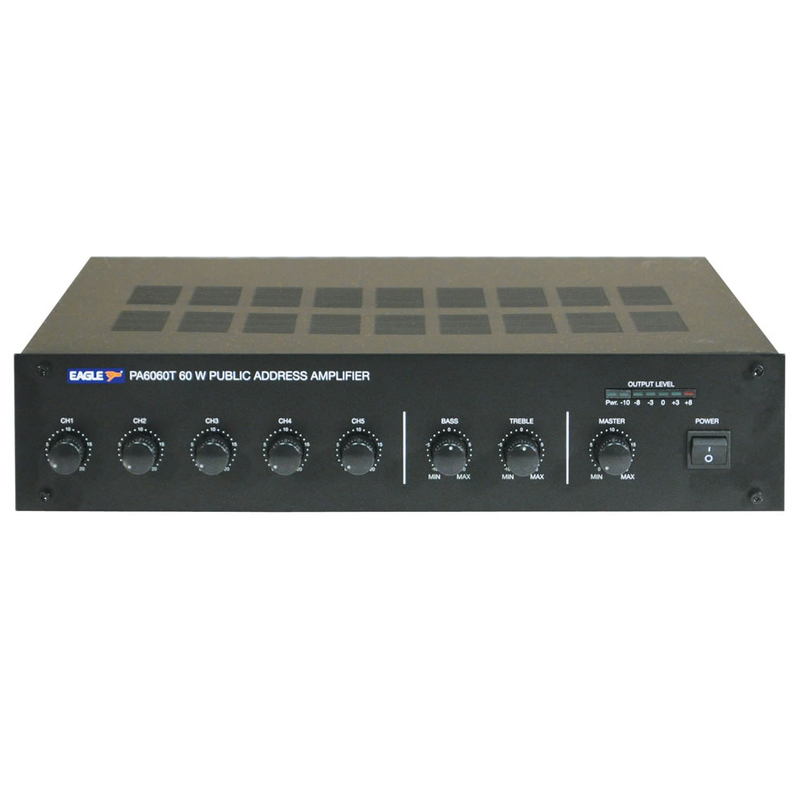 The 6000 range of Eagle PA amplifiers offers versatile features and outstanding value for installed sound applications such as schools, offices, restaurants, shops, factories, houses of worship and hotels. 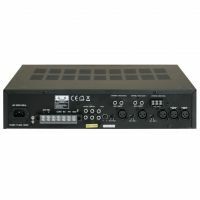 The unit features six inputs, two are balanced microphone inputs, two are auxiliary line inputs/microphone inputs and the final one is a microphone and telephone input. There is a further Aux input and volume control on the rear. Channel 1 mic input has a VOX priority which will override Channel 3-6 and Line input signals (but not the Channel 2 input). Other features include channel level, master volume controls and bass/treble controls. Speaker outputs consist of 100V, 70V and 8Ohm. An auxiliary line output can be used for recording or connection to an external booster/power amplifier (P648XA 120W or P648XB 240W). Supplied with mounting brackets for 482mm (19") rack installation.